Created by Adam DeWitt in 2018, Futashikana Shogi is an expanded version of Shosu Shogi played on an 11x11 board with 4 new pieces. Click on the link underneath the image to start a game with Game Courier. 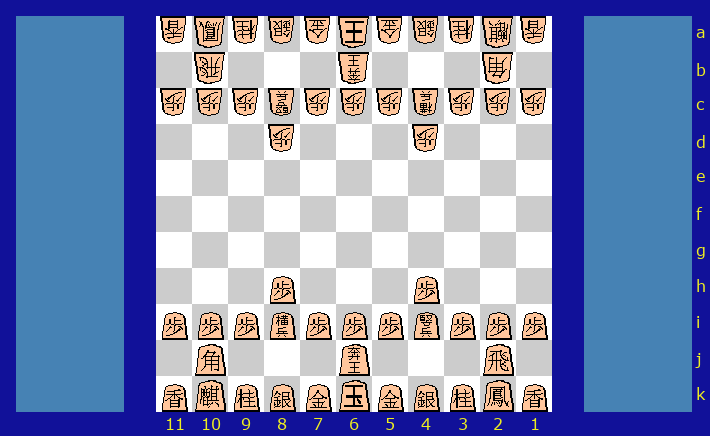 The link doesn't actually start a game of Futashikana Shogi, it just takes you back to the same page.